Have you been on a flight lately with one of the budget airlines? They’ve started doing this thing where they insist that you put your specially purchased cabin bag sized suitcase into the hold, meaning despite having made every effort to pack light, you still have to wait for your luggage to come out on the belt, thus negating the ENTIRE POINT OF THE WHOLE THING. It really annoys me because I pride myself on travelling light and don’t want to add an extra twenty minutes to my journey thank you very much. If I’m going to have to wait like a pleb for my suitcase then I also miss out on all the smugness of being able to walk briskly past all the people who apparently can’t go away for a few days without taking six different pairs of shoes and a hairdryer. The leather is soft but strong, pliable and warm. It’s bliss. The big selling point though is that although you can fit an awful lot inside thanks to the concertina thing it has going on, it LOOKS like an ordinary bag. To test it, I went to Iceland for a few days with my sister. I had the Ruitertassen traveler cabin bag and my sister had a small suitcase, the sort that in the good old days would have gone in the overhead locker. We got to the gate at the same time, (obviously), and my sister presented her passport and boarding card. 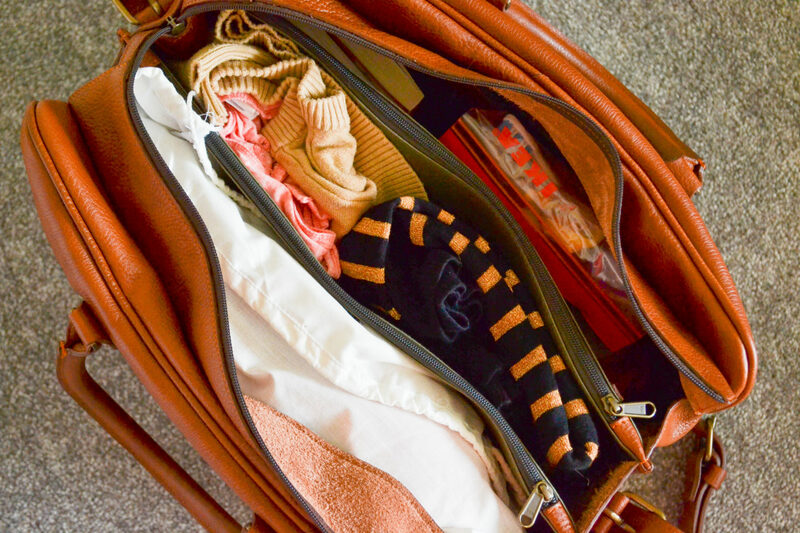 ‘You’ll need to leave your suitcase at the bottom of the steps to go in the hold,’ said the member of staff, whipping a paper tag on the suitcase handle before my sister could so much as flinch. ‘Can I have a look at your cabin bag?’ she asks me. I show her. ‘Does it fit under the seat?’ she asked. ‘Absolutely,’ I reply, and she nods me through. Of course when we do get on the plane there is masses of space in the lockers because everyone else has been made to check their suitcases. 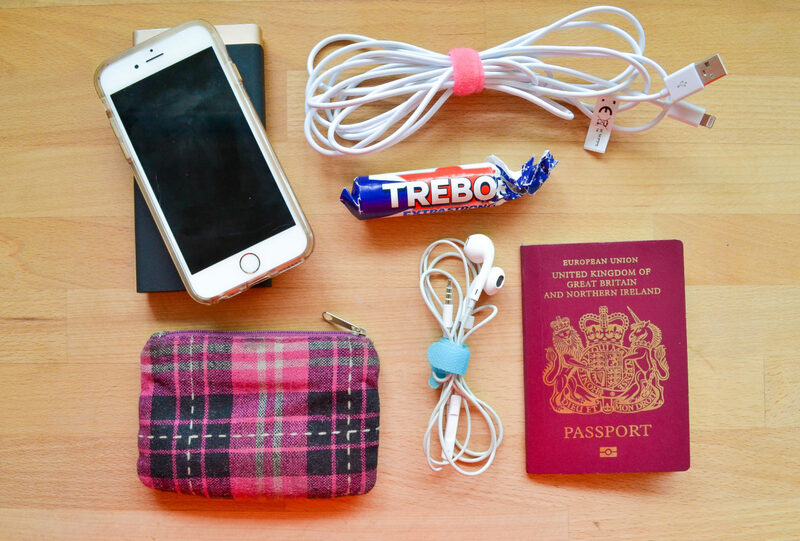 So how do you pack light for a mini-break to make sure you can get away without a suitcase? 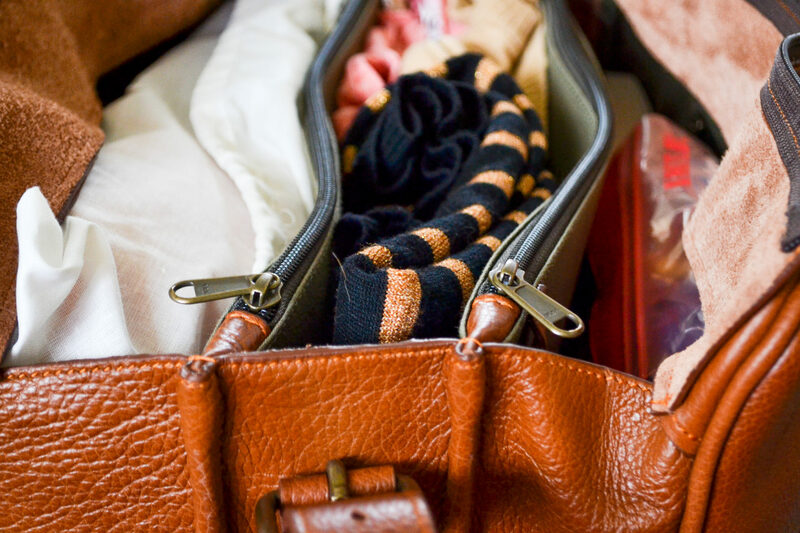 It sounds obvious, but when I want to pack light I just think about the things I ACTUALLY NEED. Dur. Many of us fall into the trap of taking things away with us ‘just in case’, but how often do you actually wear that third pair of shoes? The key is planning. Go through each day and think about exactly what you’re going to need in terms of clothes, toiletries and other bits and pieces. 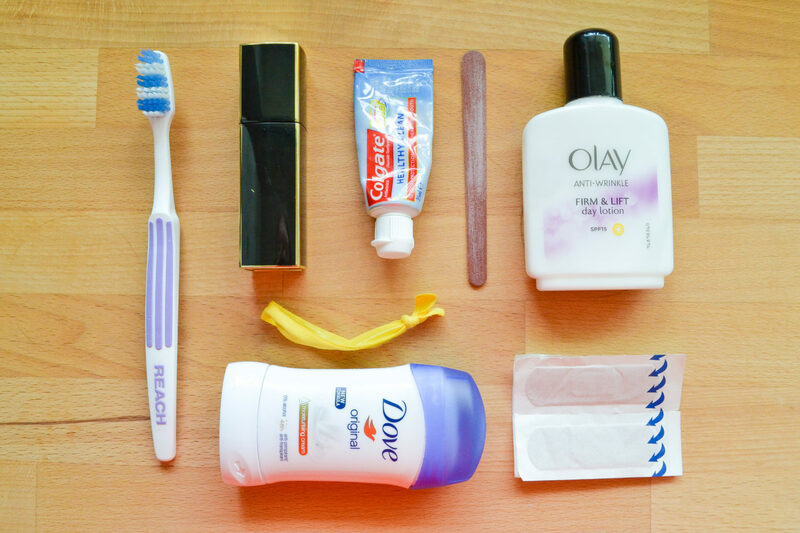 Think about where you’re going to be staying – do you need to take toiletries or are these provided in the hotel or AirBnb? Are there skincare products you could do without for a couple of days? Think too about who you are travelling with. What might they have with them that you then don’t need to pack? I knew my sister would definitely have a hairbrush and a razor for instance, so I didn’t bother with those. She knew I was bringing toothpaste so she left that at home. Pretty minimal right? It helps that I can go without make-up. Don’t do pointless things like take your whole purse full of Nectar cards and library tickets – slim down to a small coin purse with just a debit card and credit card. I’m a bit geeky about leads so I have little velcro things to keep everything tidy. 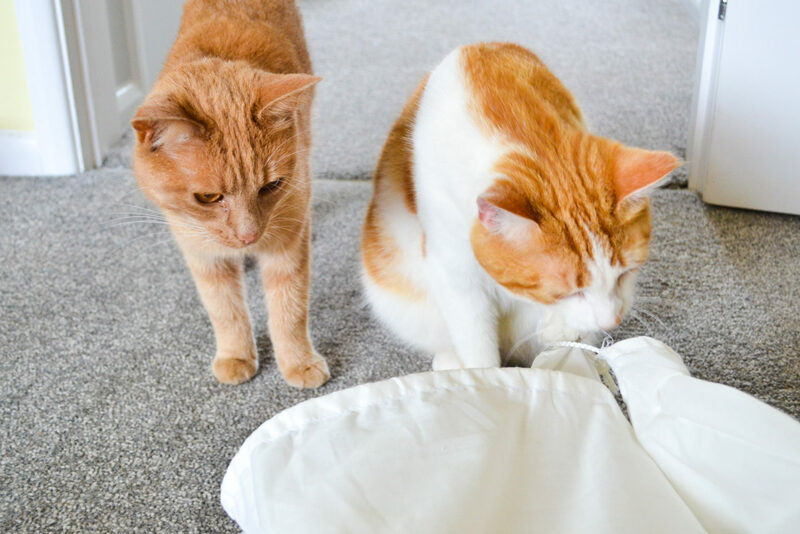 The cats were very interested in my packing and were particularly keen on the white bag. 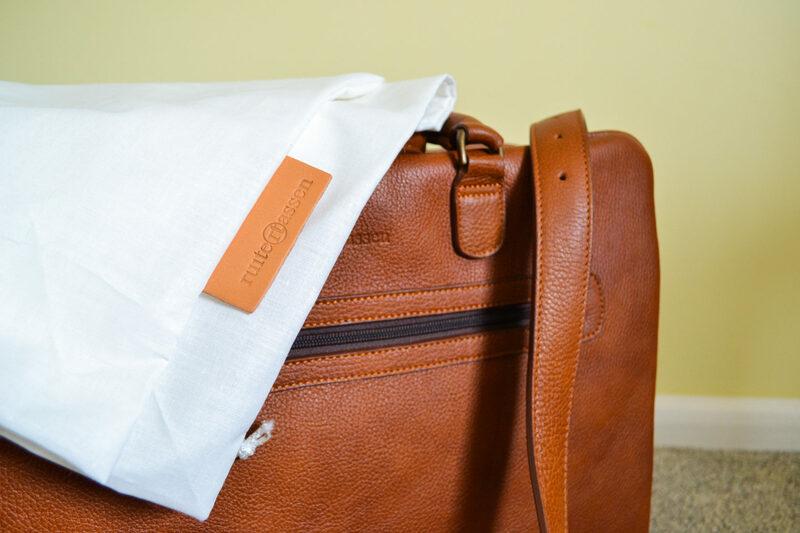 Inside, the Ruitertassen traveler cabin bag has a padded section for your laptop, a small internal pocket for things like keys, and three main sections, separated by sturdy zipped pockets. These would be ideal for paperwork and other Important Businesses Things. Although at first it might feel like you’re never going to have enough space, the Ruitertassen traveler cabin bag is deceptive. 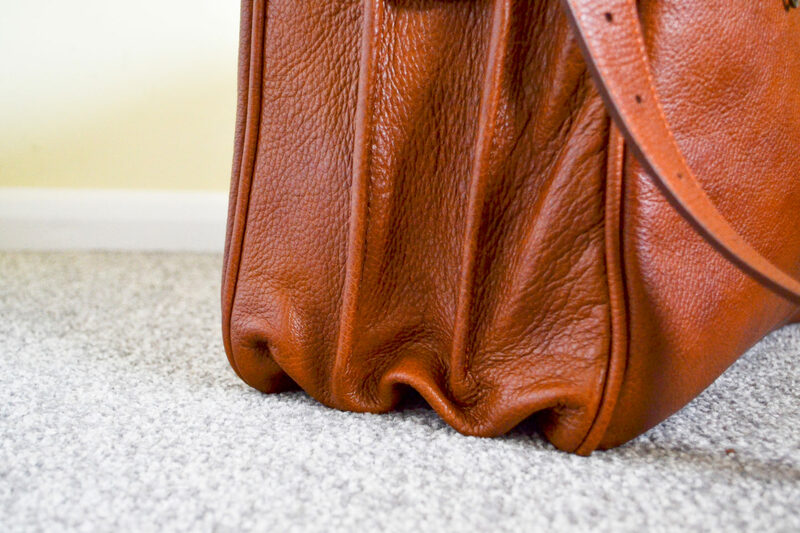 The Mary Poppins of travel bags if you will. I especially like that even when it’s full, the zip meets with ease, so you never feel like you’re having to stretch it or force it to close. Obviously the downside is that it’s not on wheels like a suitcase, so you do have to carry it, but it has the choice of either two handles or an adjustable shoulder strap. The extra weight is outweighed anyway by feeling like a mega-rich super star, wafting a warm leather smell in your wake. 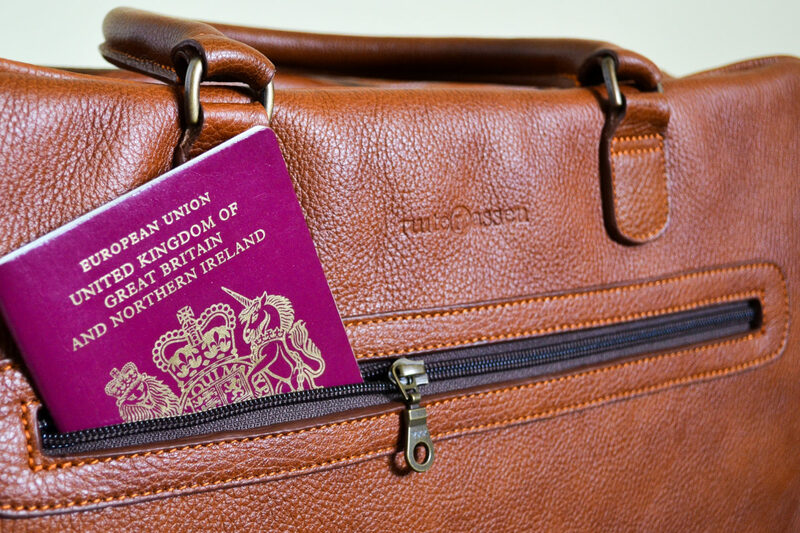 The concertina design and the soft leather mean that when you’re not using the Ruitertassen traveler cabin bag for mini-breaks it doesn’t look out of place as a day bag. It would be great for work if you regularly need to carry a laptop, paperwork and prawn sandwiches. Could you take the Ruitertassen traveler cabin bag on a mini-break and if so, where would be top of your list? 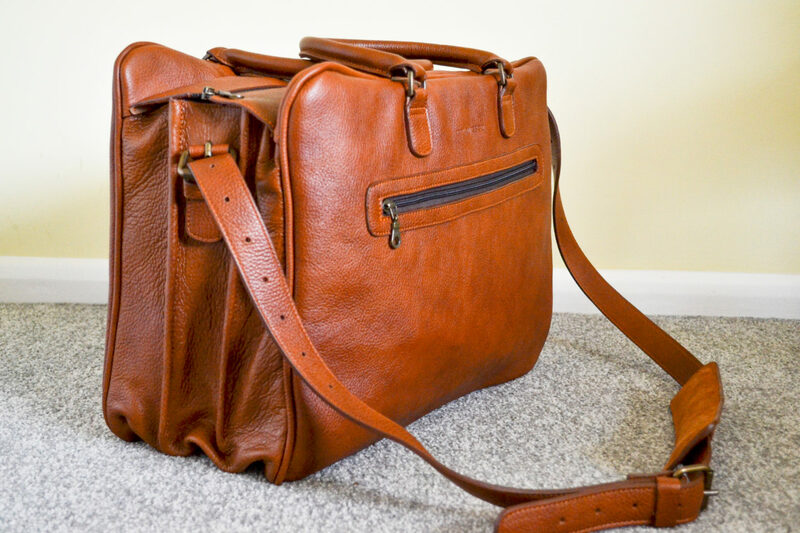 I was sent the Ruitertassen traveler cabin bag for the purposes of this review. All opinions are my own. Previous Post How to Apply for Title Loans Near You? What a beautiful stunning bag! I bet the smell is divine!